After the death of King Stefan. Election Sejm in Warsaw. 1587. The Sejm was appointed at the Convocation Sejm on 9 March 1587. The pre-selection Sejm took place in May, and the session of the Election Sejm began on 30 June 1587. From the very beginning, during the Sejm two separate circles emerged: the first, originating from the former opposition against King Stefan, headed by the Zborowski family, and the second, created by the former supporters of King Stefan's policy, centred around all the Grand Chancellor of the Crown and Grand Hetman of the Crown, Jan Zamoyski. 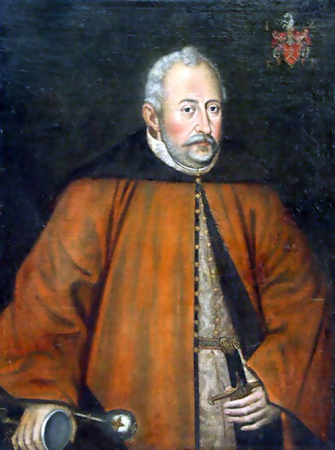 The Marshal of the first circle was Kasper Dębiński, the chamberlain of Mielno, and the Marshal of the second circle was elected Paweł Orzechowski, the chamberlain of Chełm. There have been several tensions between the two wheels, threatening to result in armed clashes, which, however, did not happen in general. However, the Electoral Sejm was divided. On 19 August 1587 Zamoyski's "black" circle acclaimed the king of Sigismund Vasa, the Swedish king, the nephew of King Sigismund Augustus, who was proclaimed king Stanislaw Karnkowski. In turn, the opposite circle acclaimed the king, on 22 August 1587 Archduke Maximilian Habsburg, who was proclaimed king by the bishop of Kiev Jakub Woroniecki. The Lithuanian nobility again did not participate in the election. 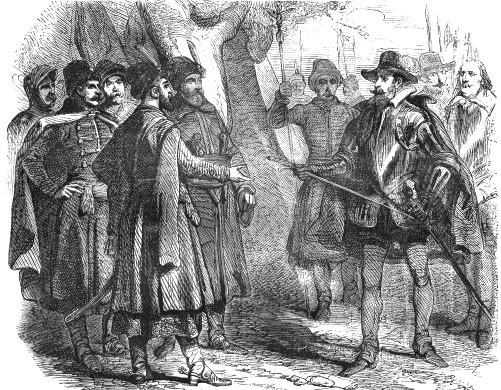 However, the congress in Wiślica, which took place after the election session, made the decisions of the election parliament of 19 August 1587 legally binding, announcing a common move in the face of the threat of Habsburg intervention. 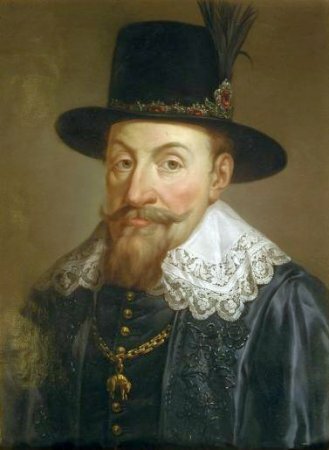 King Elect Zygmunt arrived in Gdańsk on October 7, 1587, from where he went to Cracow, where on December 28, 1587 he was crowned. The election of King Sigismund was recognised by the Grand Duchy of Lithuania. Archduke Maximilian, who invaded the Commonwealth and tried to conquer Cracow at the end of November, was finally defeated by Jan Zamoyski in the Battle of Byczyna (1588), where he was taken prisoner by the Hetman. See: A. Pieńkowska, Zjazdy i sejmy z okresu bezkrólewia po śmierci Stefana Batorego Zjazdy i sejmy, Pułtusk 2010; E. Dubas-Urwanowicz, Mężowie stanu, awanturnicy czy zdrajcy? Dzieje rodu Zborowskich w XVI wieku [State men, adventurers or traitors? 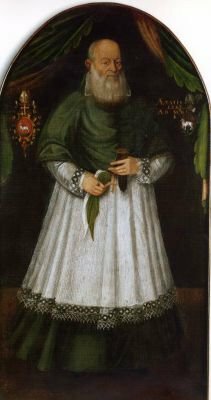 History of the Zborowski family in the 16th century], Warszawa 2018; W. Czapliński, Sejm w latach 1587-1696 [1587-1696 Sejm], in: Historia sejmu polskiego [The history of Polish Sejm], v. 1, Warszawa 1984, edited by J. Michalski, p. 217-299; E. Opaliński, Sejm srebrnego wieku 1587-1652. Między głosowaniem większościowym a liberum veto [Sejm of the Silver Age 1587-1652. Between the majority voting and liberum veto], Warszawa 2001; I. Malec-Lewandowska, Sejm walny koronny Rzeczypospolitej i jego dorobek ustawodawczy. 1587-1632 [The Crown general sejm of the Commonwealth and its legislative achievements, 1587-1632], Kraków 2009; J. Bardach, Zatwierdzenie III Statutu litewskiego przez Zygmunta III Wazę [Approval of the Third Statute of Lithuania by Sigismund III Vasa], „Czasopismo Prawno-Historyczne”, v. 30, 1978, z. 2, p. 39-51. . Legislation see: Volumina Constitutionum, v. 2, part 2, Prepared for printing by S. Grodziski, Warszawa 2008, s. 44-52.